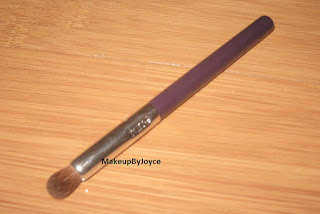 The bristles are dense, firm and super soft, just like my Sonia Kashuk Black Domed Eyeshadow brush (review). It picks up alot of color, but the color doesn't disperse well on my crease because it creates a thin harsh line. 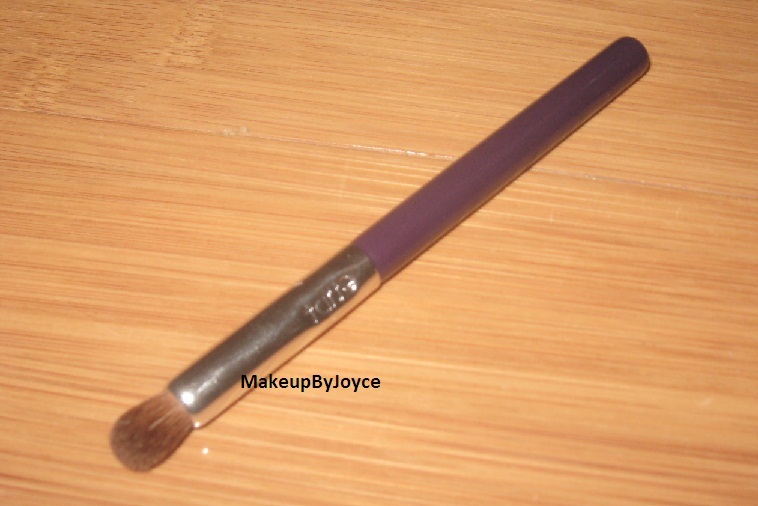 I then have to grab another brush to blend everything out because the bristles don't blend out my crease color that well. I find that it works best for defining the outer v.
The handle is a deep purple, eggplant shade and has a nice grip because it is thick. The brand is engraved on the silver ferrule. The total length of the brush is just a bit over 5 inches. It is small enough to fit in your makeup travel bag.